I am interested in supervising clever and bright students either towards final-year projects or post graduate research degrees. Opportunities are scarce, specially on post-graduate leave. But if you are keen you have what it takes to do a great job involving research and development, please contact me. The people bellow already did. 1. Jean-Paul Arnephie. Web Database Management Systems (WDMs) / Database Influence on website development. 2012. Dissertation (M.Sc. M.Sc. in Computer Science) – University of Hertfordshire. Advisor: Jean Everson Martina. 2. Nwachukwu Odukwe. Performance and Scalability Comparison of Message-Level Security (WS-Security) and Transport-Level Security (SSL / TLS) Particularly for End-to-End and Flexible Web Services Security. In 2011. Dissertation (M.Sc. M.Sc. in Computer Science) – University of Hertfordshire. Advisor: Jean Everson Martina. 3. Olayemi Toye. Bluetooth Banking: Implementation of area bank based mobile banking services using ad hoc networking technology. In 2011. Dissertation (M.Sc. M.Sc. in Computer Science) – University of Hertfordshire. Advisor: Jean Everson Martina. 4. James Decelis. Using Java Technologies and Open-Source Frameworks. 2010. Dissertation (M.Sc. M.Sc. in Computer Science) – University of Hertfordshire. Advisor: Jean Everson Martina. 5. Conrad Vassallo. The effectiveness of the integration of Google Apps web services in an e-learning platform. 2010. Dissertation (M.Sc. M.Sc. in Computer Science) – University of Hertfordshire. Advisor: Jean Everson Martina. 1. Thomas FM White. Mobile Steganography Embedder. In 2011. (Degree in Computer Science) – University of Cambridge. Advisor: Jean Everson Martina. 2. Alena Konovalova. Brokerage Management reporting system to monitor trading, positions and risk exposure. In 2011. (Undergraduate B.Sc. in Computer Science) – University of Hertfordshire. Advisor: Jean E Martina. 3. Emanuel Lewis. Cheque Return System. In 2011. (Undergraduate B.Sc. in Computer Science) – University of Hertfordshire. Advisor: Jean E Martina. 4. Andrew Sammut. Hotel Review & Recommendation System. In 2011. (Undergraduate B.Sc. in Computer Science) – University of Hertfordshire. Advisor: Jean Everson Martina. 5. Robert Duncan. Steganographic using Web Message Broadcasting Protocols. 2010. (Degree in Computer Science) – University of Cambridge. 6. David Anthony Read. Sames – Anonymous Short Message Encryption Scheme. 2010. (Degree in Computer Science) – University of Cambridge. Advisor: Jean E Martina. 7. Jeniel Pierre. An online evaluation system. 2010. (Undergraduate B.Sc. in Computer Science) – University of Hertfordshire. Advisor: Jean Everson Martina. 8. Neil Jenkins. Steganography in Audio. 2009. (Degree in Computer Science) – University of Cambridge. Advisor: Jean Everson Martina. 9. Jeffrey Lau. Framework for Remote Laptop Location and Operations. 2009. (Degree in Computer Science) – University of Cambridge. Advisor: Jean Everson Martina. 10. Keith Cheng. PKI certificate trust path verification tool. 2009. (Degree in Computer Science) – University of Cambridge. Advisor: Jean Everson Martina. 11. James Nicholson. The Decentralised, Cryptographic Instant Messenger. 2008. (Degree in Computer Science) – University of Cambridge. Advisor: Jean Everson Martina. 12. Christopher Llanwarne. The steganographic Block Store Across Several Media Files. 2008. . (Degree in Computer Science) – University of Cambridge. Advisor: Jean Everson Martina. 13. Tulio Cicero Salvaro de Souza. Embedded applications for managing cryptographic keys. 2004. 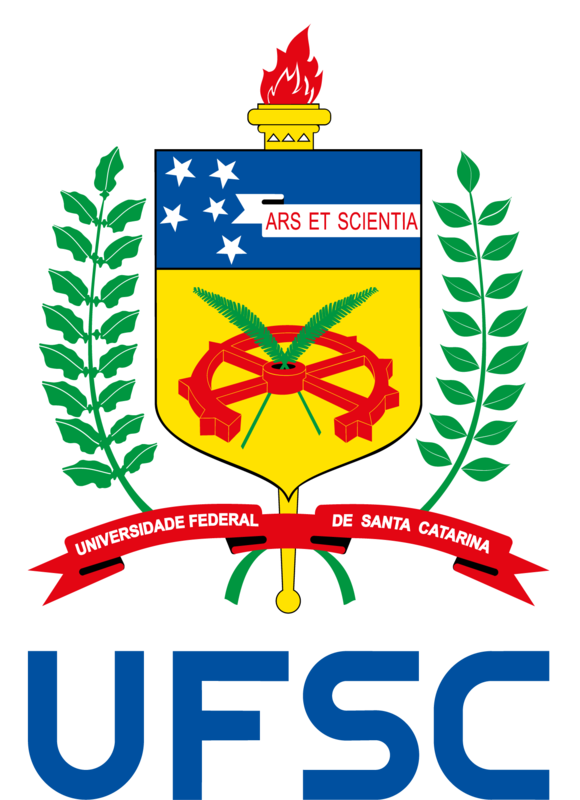 (Degree in Computer Science) – Universidade Federal de Santa Catarina. Advisor: Jean Everson Martina.